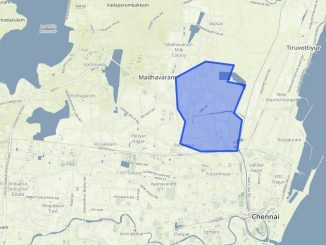 Kolathur is a newly formed constituency, carved out of Purasawalkam and Villivakkam during the delimitation of constituencies in 2008. 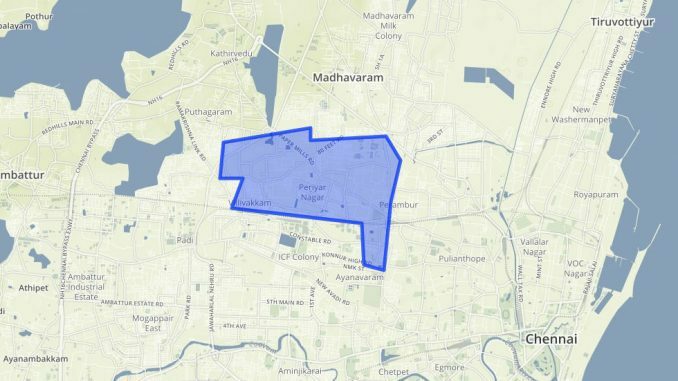 Kolathur constituency includes the wards Kolathur, Peravallur, Senthil Nagar, Srinivasa Nagar, Ayanavaram, Periyar Nagar, Poombugar Nagar, Jawagar Nagar and Sembiyam. The treasurer and the Youth Wing President of DMK M.K.Stalin was elected as the first MLA from this constituency in 2011. There are 2,61,913 voters in this constituency. Stalin, son of DMK president M. Karunanidhi, was the deputy chief minister in the DMK government from 2009-2011. He was elected as an MLA for the first time from the Thousand Lights Constituency in 1989, and had represented the constituency till 2011 . He had served as Chennai’s Mayor from 1996-2001. This time he promises renovation of Uthamapuram Housing Board flats, closed drainage and effective solid waste management at Balaji Nagar, Kumaran Nagar and Vengadeshwara Nagar, laying of new drinking water lines and setting up rations shops at Cholinganagar and other adjacent areas. Confident of his victory, Stalin has campaigned in the constituency for just two days. 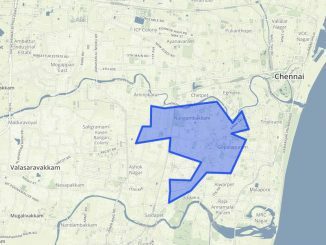 John Christian Devavaram Prabhakar is the incumbent MLA of Villivakkam constituency, the parent constituency of Kolathur. He had defeated DMK general secretary K. Anbazhagan in Villivakkam by a margin of 10,700 votes. He has served as the president of the All India Chess Federation, Chennai. Prabhakar claims that the residents of Kolathur have been “benefited by the people-welfare schemes of AIADMK Government.” He was in the news when he organized public grievance meetings with the participation of officials from different departments, and directed them to take steps to solve the issues raised. He had also actively campaigned for the release of J. Jayalalitha when she was arrested in the disproportionate assets case in 2014. K.T. Raghavan is the state secretary of the BJP. 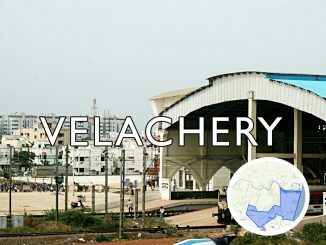 With the construction of flyovers at Villivakkam and Mollakkadai, and improvement of interior roads, the transport facilities have seen an improvement in the area in recent years. However, many sanctioned projects like the Villivakkam and Rettri Flyovers, drinking water and toilet facilities in schools are yet to take off. Incumbent MLA Stalin blames the AIADMK government for not supporting welfare schemes and infrastructure projects in Kolathur. The DMK has been attempting to win the goodwill of the people here through public interaction programmes and helpline numbers. Kolathur was one of the severely-affected areas during the December floods. Damaged and clogged sewerage and storm water drains intensifies the issue of water-logging here. “We don’t know much about these big projects. We are more concerned about basic facilities. Whether it is the AIADMK or the DMK in power, our issues such as lack of access to the Public Distribution System remain unresolved. I would like to see a different party in power and see how they perform,” says Jeelan U, an autorickshaw-driver. Like many other constituencies, the residents here too complain that food and oil are distributed at ration shops only for a few days in the beginning of every month. “Most of us are daily wage labourers. Most often we have to queue at the shops till evening to get items, says N. Jayavel (43). Echoing their concerns, many residents demand proper monitoring of rations shops . “The ration-shop owner takes a three-hour break in the afternoon! The quantity of grains, pulses and oil provided is less. We have been complaining about this for years, but no action has been taken so far. We have to buy things from other shops, adds Jeelan. The stench from the Corporation-run Sewage Treatment Plant nearby is another issue raised by the members of the Rajaji Nagar Residents’ Welfare Association. When asked about the helpline number launched by Stalin, some of the residents said, “They respond quickly and promise to look into the issue. We don’t yet know how effective it is.” However, Stalin claims that about 70% of the complaints received on the helpline has been addressed. Another recurring issue raised by residents from many constituencies is the quality of education in government schools. “ The government should take necessary steps to ensure that the quality of education is improved and our kids are taught properly in government schools,” says Mr. Jayavel. Land encroachment by political leaders is another issue that the residents alluded to, but seemed afraid to talk about.